Two eyes dart corner to corner. They see lots of colors and lots of black. They start to unfocus from behind the dark theatre - the lids closed tight - start to replay slide shows from the past. See the new little brother; my daddy taking special care to clean the gross thing attached to his belly button. See Winnie the Pooh wall-papered walls, She-Ra castles, and My Little Ponies littering 70's inspired shag carpet. See the wrinkles around dad's mouth as we move to a new city after grandad died - see a new school - see a new lump in mom's belly. See a rolly-polly sister, head full of black hair, dimpled fists. See Boys Chase the Girls. See alphabets, lost front teeth, long division, tee-ball, ice-cream trucks, chocolate milk, slumber parties, and scraped knees. See tears. This is the scary part, the part where my eyes close off the theatre even tighter and things get really dark. These eyes are shut tight and see first kiss after the hayride, see mtv, see seventeen magazine and designer clothes. The part where I see puberty and prom and death. See parties with beer and feel lonely - feel stupid. See myself making loud jokes, laughing the loudest, so no one will mock me as a goody-goody while gripping a can of coke so tight my knuckles turn white. See my best friend go off in the woods - get littler and littler as she walks from the campfire - see the football star right behind her. See tears. Eyelashes embrace to showcase first funeral, my second, see my third. See two years go by and a few wrinkles around my own mouth. See college, more parties, less church. My eyes start to relax a little and my head goes light. The feeling of too many jack daniels down home punch. Boys call, boys come over, boys dance real close. See myself with power. See myself with one mistake and then another and then see myself make the very conscious decision to go to the mall with yet another... mistake. See tears. Two eyes dart corner to corner. They see lots of colors and lots of black. And the scrolling documentary never changes. The best songs come from broken hearts. Sixteen-year-old Bird Barrett has grown up on the road, singing backup in her family's bluegrass band, and playing everywhere from Nashville, Tennesee to Nowhere, Oklahoma. One fateful night, Bird fills in for her dad by singing lead, and a scout in the audience offers her a spotlight all her own. Soon Bird is caught up in a whirlwind of songwriting meetings, recording sessions, and music video shoots. Her first single hits the top twenty, and suddenly fans and paparazzi are around every corner. She's even caught the eye of her longtime crush, fellow roving musician Adam Dean. With Bird's star on the rise, though, tradition and ambition collide. Can Bird break out while staying true to her roots? 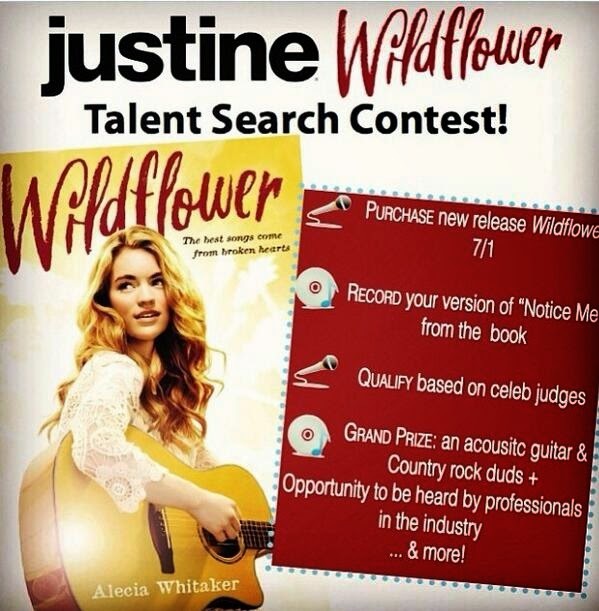 In a world of glamour and gold records, a young country music star finds her voice. 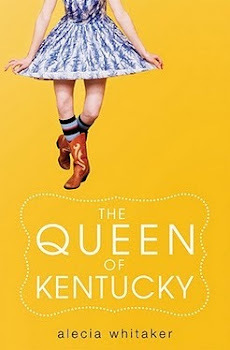 Fourteen-year-old Kentucky girl Ricki Jo Winstead, who would prefer to be called Ericka, thank you very much, is eager to shed her farmer's daughter roots and become part of the popular crowd at her small-town high school. Caught between being a country girl and a wannabe country club girl, Ricki Jo begins to forget who she truly is: someone who doesn't care what people think and who wouldn't let a good-looking guy walk all over her. CLICK THE COVER TO PRE-ORDER! Momma Mondays - Pull up!